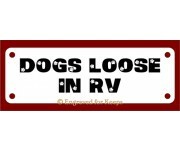 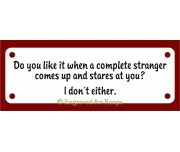 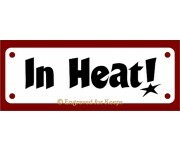 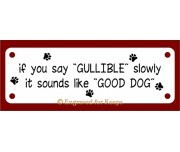 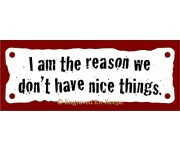 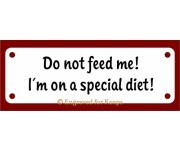 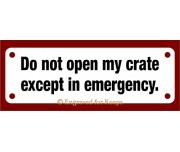 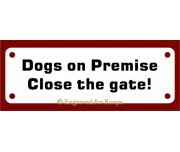 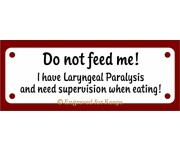 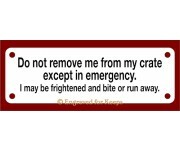 This 2" x 6" engraved sign lets kennel workers or well-meaning admirers know what not to do. 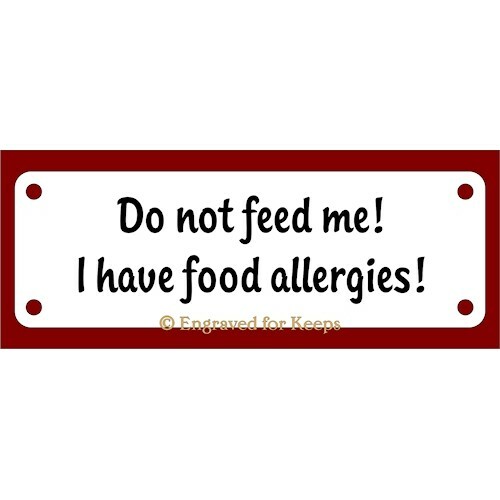 Do not feed me! 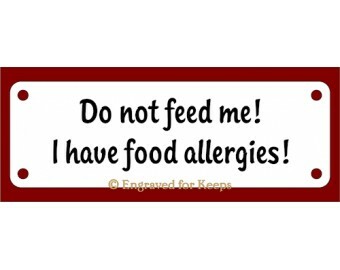 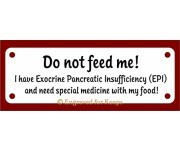 I have food allergies!